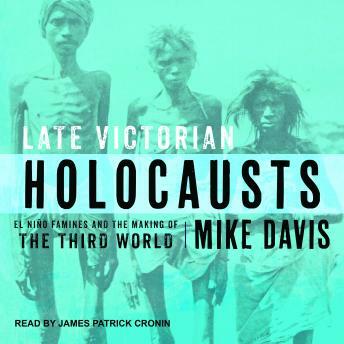 Examining a series of El Niño-induced droughts and the famines that they spawned around the globe in the last third of the nineteenth century, Mike Davis discloses the intimate, baleful relationship between imperial arrogance and natural incident that combined to produce some of the worst tragedies in human history. Late Victorian Holocausts focuses on three zones of drought and subsequent famine: India, Northern China, and Northeastern Brazil. All were affected by the same global climatic factors that caused massive crop failures, and all experienced brutal famines that decimated local populations. But the effects of drought were magnified in each case because of singularly destructive policies promulgated by different ruling elites. Davis argues that the seeds of underdevelopment in what later became known as the Third World were sown in this era of High Imperialism, as the price for capitalist modernization was paid in the currency of millions of peasants' lives.